Required qualifications. - Part qualified in AAT, CIMA, ICASL or equivalent. 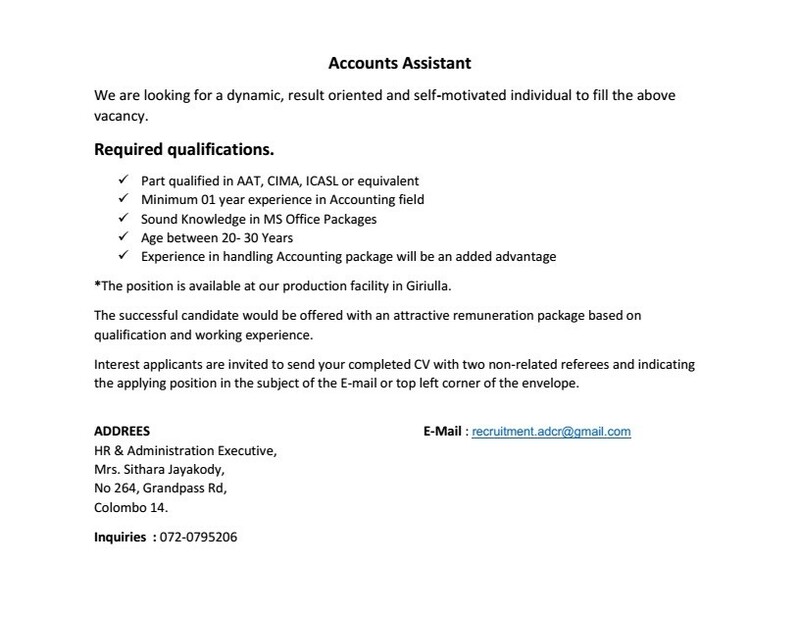 Minimum 01 year experience in Accounting field. Sound Knowledge in MS Office Packages. Age between 20- 30 Years. Experience in handling Accounting package will be an added advantage.